He explained that this ‘shock’ decision would affect work carried out by NIAB on DUS testing of ornamental crop species – valued at around £600k per year. “The timing of this notification – without any prior consultation – came as a shock, not only because the UK is and remains a full EU member until the confirmed date of Brexit, but perhaps more significantly because NIAB is the only entrusted examination centre within the EU for 678 of the 864 ornamental species involved,” said Mr Godfrey. The decision also presents a major headache for EU plant breeding companies and for CPVO in identifying alternative testing centres with the same level of scientific expertise, testing facilities and reference material required. Mr Godfrey added that it was precisely because NIAB occupied such a unique space in variety testing, with unrivalled staff expertise and extensive reference collections built up over many years, that major investment in upgrading this capability had been undertaken at the organisation’s Cambridge headquarters in recent years. “If the UK Government is serious about its commitment to safeguarding innovation and maintaining the UK science base it must step in to support NIAB in this case,” said Mr Godfrey. But despite this setback, Mr Godfrey said leaving the EU also presented exciting opportunities for the UK agri-tech sector, especially in crop science. 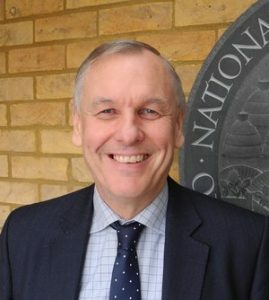 “NIAB is well-placed and ambitious for further growth, and our successful experience now in integrating other organisations and scientific teams within the NIAB group stands us in good stead for the future – watch this space!” he concluded.